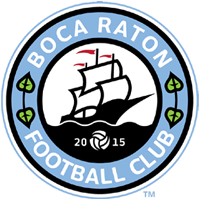 BOCA RATON — Boca Raton Football Club has announced today that the club will be providing transportation to fans that want to catch their matchup versus Miami Fusion on May 11 at Broward College. The bus will leave from Boca Raton FC HQ located at 141 NW 20th Street, Suite B5, Boca Raton FL, 33431 on Wednesday, May 11 at 5:30 and will return following the conclusion of the match. Tickets for the bus are free but fans will need to purchase their own game ticket at the door. Seating on the bus is limited so please register here (or below) as soon as possible.